Tetra Pak Tree Day gives children, teachers and parents the opportunity to put down the school books, get outdoors and connect directly with nature. The campaign also encourages children to become more environmentally aware. The campaign’s mascot Sammy Squirrel will feature on Avonmore school milk cartons with seven simple messages on how to help the environment. As part of Tetra Pak Tree Day, up to 1,000 native tree saplings will be made available through the Tree Day website for primary school children to plant on their school grounds. There is also an opportunity for children and teachers to win an iPad for their class. 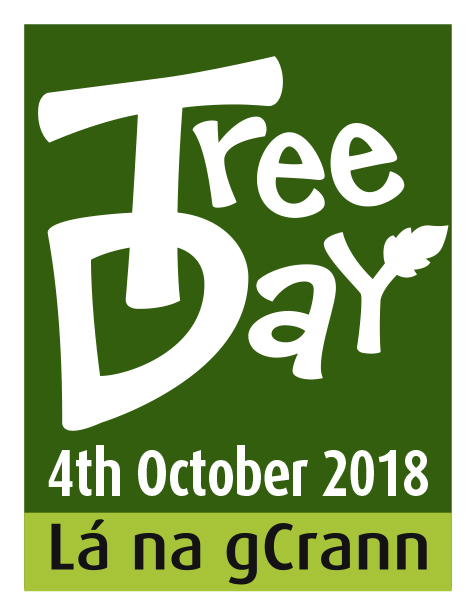 More details about the campaign including guided woodland walks, class lessons, videos, fun tree facts, activities and more can be found on www.treeday.ie . Each year Tetra Pak Tree Day places a focus on a different native tree. This year the spotlight is on the Guelder-rose, or Caor chon in Irish. The Guelder-rose is a small deciduous tree, sometimes reaching a height of 4 metres, that grows in dampish areas in hedges and small woods. It bears discs of creamy white flowers in early summer, making it excellent for pollinators, and produces bunches of translucent bright red berries in early autumn, which are loved by birds. The Guelder-rose is an important native tree that supports Ireland’s natural habitats and preserves biodiversity. Joseph McConville, President of the Tree Council of Ireland, commented: “For this year’s Tetra Pak Tree Day, we’ll have up to 1,000 Guelder-rose tree saplings to give away to primary schools. We are encouraging primary school teachers throughout Longford to get outside with their students and explore the natural environment. Deborah Ryan, Marketing Manager, Tetra Pak Ireland also said: “The aim of Tetra Pak Tree Day is to teach children about the importance of minimising our impact on the environment and how we can all live more sustainably. To find out more about this year’s campaign, watch the Tree Day Video and claim a FREE Guelder-rose tree sapling for your class, visit www.treeday.ie .